From September 2014 to April 2015 the prestigious Awasi hotel chain is offering a special deal to introduce visitors to Chile’s extreme landscapes: 10% off 3 nights at the Hotel Awasi in San Pedro de Atacama and 3 nights at the Awasi Patagonia, plus 1 free night at the luxurious W Santiago in the Chilean capital. Three regions that could not be more different from each other: the stark allure of the driest desert in the world, the breathtaking scenery of Torres del Paine National Park, plus the vibrant metropolis of Santiago de Chile. 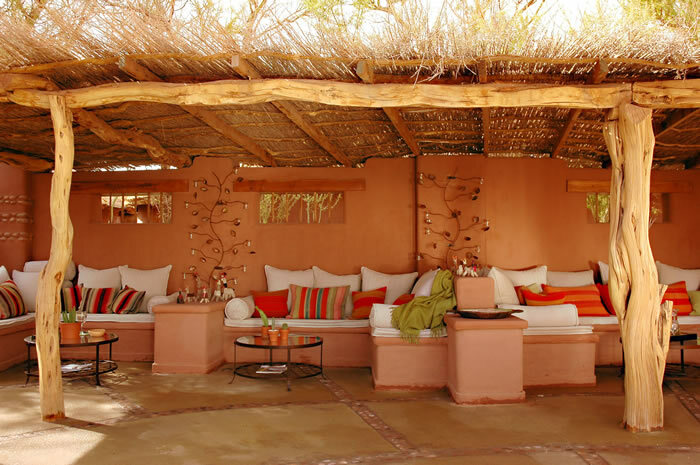 The Awasi Hotel San Pedro offers a rustic elegance that radiates an understated luxury. Social life at the Awasi Hotel takes place outside, with comfortable seating areas and a cosy campfire perfect for relaxation. 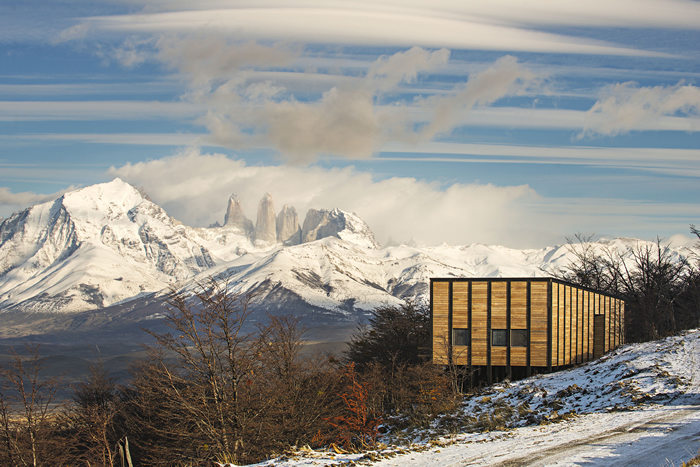 The luxurious Hotel Awasi Patagonia is located on a private bio-reserve just outside Torres del Paine National Park. This spacious property overlooking Lake Sarmiento consists of twelve independent 80m2 villas with views of the lake and the Torres peaks, all designed to blend perfectly into the native landscape. The resort is protected from Patagonia’s strong winds by its surrounding lenga and ñirre woodlands, which are home to many species of indigenous wildlife, including guanacos, ñundus and foxes. Each room is provided with its own jeep, driver, and private tour guide. This package provides a third contrasting environment for free: one night in the vibrant capital of the country. In the interior design of the W Santiago, one easily recognises the signature style of the world-renowned “W” brand, with bright colours and a mixture of adventurously modern, functional, comfortable furniture and decoration. High ceilings and huge windows provide plenty of daylight and bathrooms are equipped with relaxing rainforest showers. For more details about this Awasi Hotels Iconic Extremes special offer, please contact your travelArt sales agent.